My manicure routine doesn't change often, because once I find good tools & products that work for me I tend to stick with them (as they say if it ain't broke why try to fix it right?!). Lately however I have discovered a few new products amongst some old favourites, so I though I would share with you exactly what these are because they have been favourites & essentials in my manicure for quite some time now. 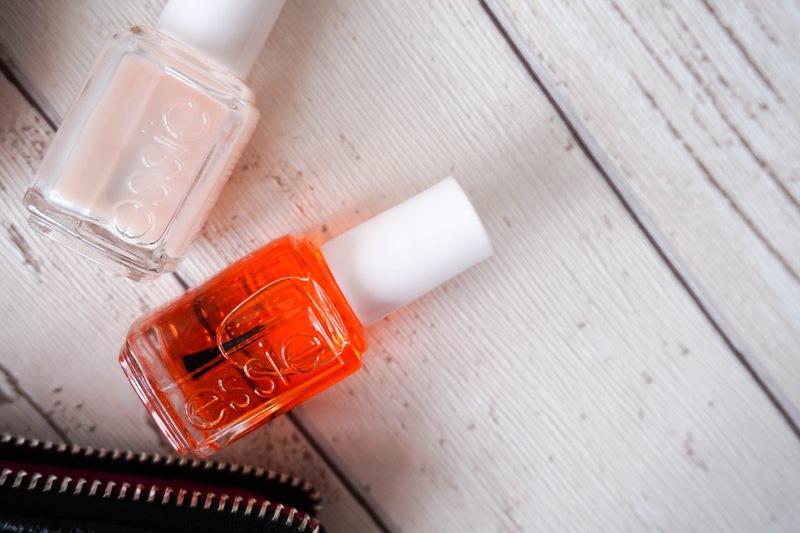 First up I've got two fantastic nail products from one of my favourite brands Essie, which have really helped keep my nails & cuticles in a better condition for the past few months. The Essie Grow Stronger Base Coat is one of the best I have tried (now bear in mind I haven't gone all out to try all the different brands out there). It really does help to keep my nails looking healthy, as well as avoiding the whole peeling prices, which sounds gross I know but can be nightmare if you are trying to grow your nails out. On my lazy days I just apply a coat of this and I am ready to go, because my nails are looked after without much effort at all. For healthy cuticles I have another great product, Essie Apricot Cuticle Oil. You might think... is it really necessary to have a cuticle product, but for me personally it is. My hands tend to get quite dry throughout the day, which affects my cuticles in particular because they start peeling back & just generally look awful. I like to apply this cuticle oil in the evenings, after applying my hand cream because then I can be sure the product will be absorbed throughout the night. I just wish Essie created a more travel friendly version of this oil, which you can pop in your handbag & easily use on the go... since this oil is not something I could pop on my nails in public transport for example. 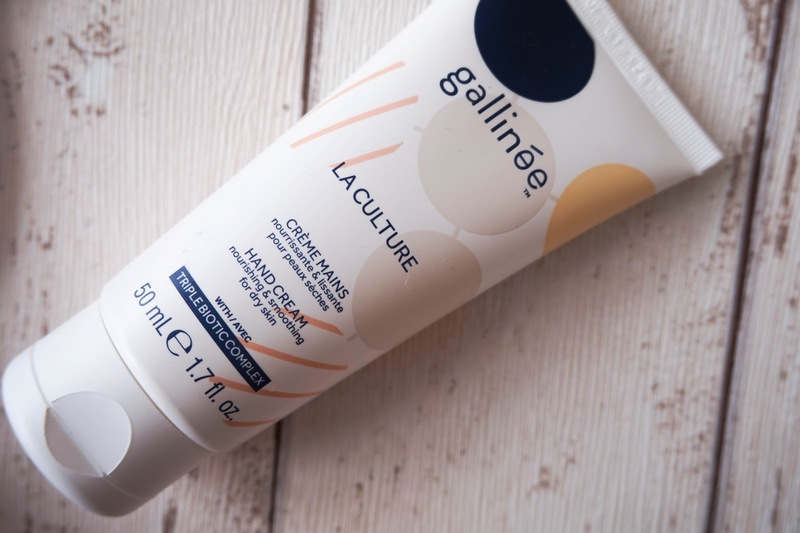 Next up I've got a new hand cream that I have been using non stop recently and that is Gallinee La Culture Hand Cream*. My first introduction to the brand came along when I tried their Foaming Facial Cleanser that I am still currently using, which you can read about in my review here. So I was super exited when I was given the opportunity to try out the brand's hand cream since I am always on the lookout for the best hand cream for my dry hands. The Gallinee La Culture Hand Cream uses the same effective formula as the rest of the range... basically containing a patented Triple Biotic Complex of probiotics, probiotics & postbiotics, which support the skin's natural microbiome in the most gentle way possible. If that all sounds too complicated the most important part to remember is that the hand cream is made with natural ingredients and it respects your skin's natural pH. What I love most is the lightweight formula, because it instantly absorbs into my skin whilst nourishing my hands at the same time. 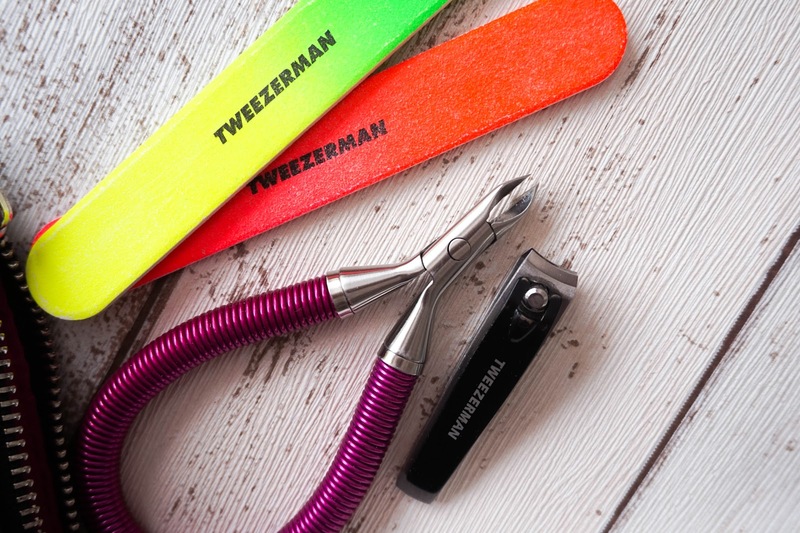 Yes I know I am raving about Tweezerman once again (I swear I am not being sponsored by the brand, I just think their beauty tools are fantastic). For perfect groomed nails & cuticles, the following 3 products are all I need... Neon Filemate to shape my nails (even on the go, as I always carry one of these mini files in my handbag), Snip Spring Cuticle Nipper to keep cuticles trimmed and of course a Small Clipper for cutting nails super easily. I've had all products for almost a year now and they still work as well as they did the first time I used them, so you can easily see why I'm so impressed. That's it from me on this lovely chilled out Sunday, hope you've all had a great weekend so far. I'd love to hear what your must have manicure essential is... let me know in the comments below.